Crosta & Mollica, which means 'crust and crumb' in Italian, produces a tasty range of authentic fine Italian baked goods made with simple ingredients. Think traditional piadinas, breads, savoury biscuits and seasonal products such as pannetone and pandoros. We loved the tarallini (Italian snacks with the texture of a breadstick) and also their piadina (Italian flatbread, which looks and tastes a bit like a tortilla). 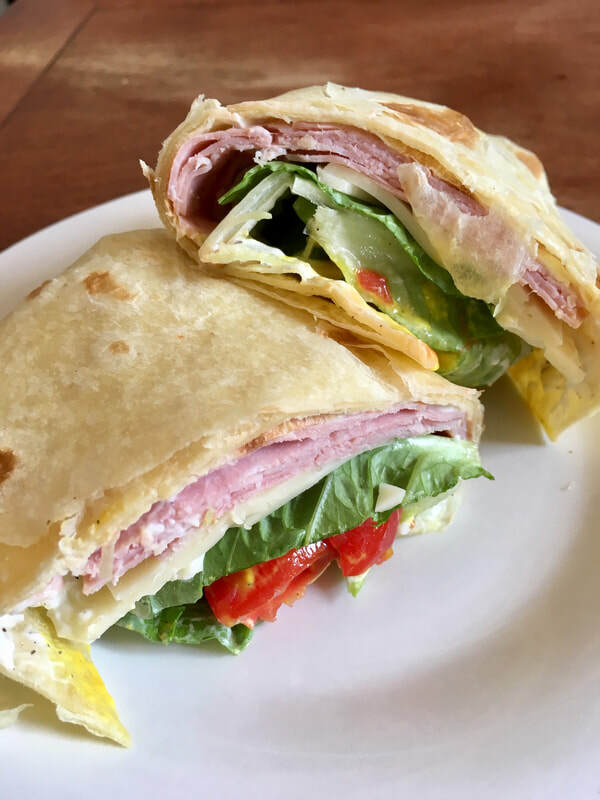 To get the best flavour out of the piadina, we baked it in the oven for the recommended five minutes, and they came out warm, lovely and flaky. 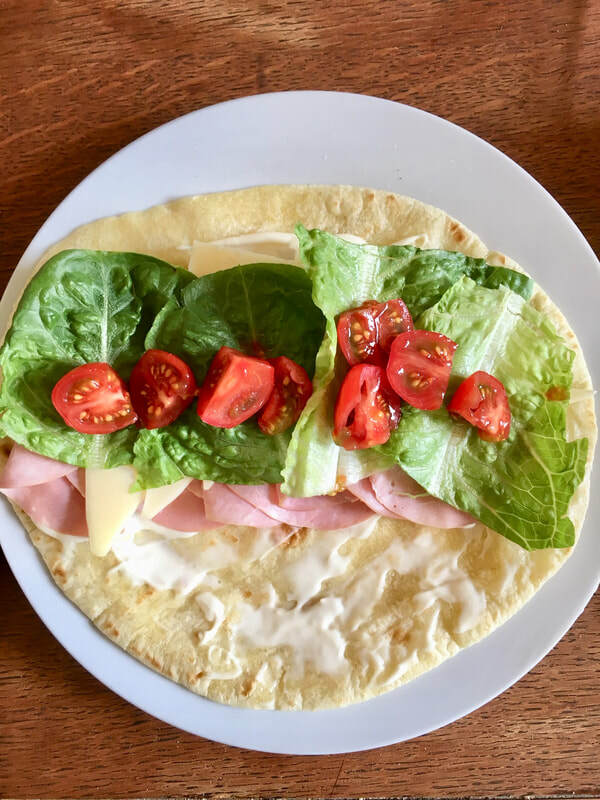 We used ours like tortillas and found they were great for making a wide variety of sandwiches and even as an alternative to tortilla shells for tacos. The verdict - we'll definitely be switching our tortillas out for piadinas moving forward as they're so much tastier! Crosta & Mollica products can be found across the UK at variety of stockists including Waitrose, Ocado, Sainsbury’s, Tesco, Whole Foods and Booths. We love any excuse to try new chocolate, so when the team at Doisy and Dam asked us to give their delicious vegan and gluten-free chocolate range a whirl, we couldn't wait to give them a taste test! The high cocoa content of these single-origin Colombian chocolates ensures intense flavour in each and every bar. The chocolates are available in two formats: 'Snaps', which are grab bags filled with snapped off bits of snacking chocolate, or mini chocolate bars. 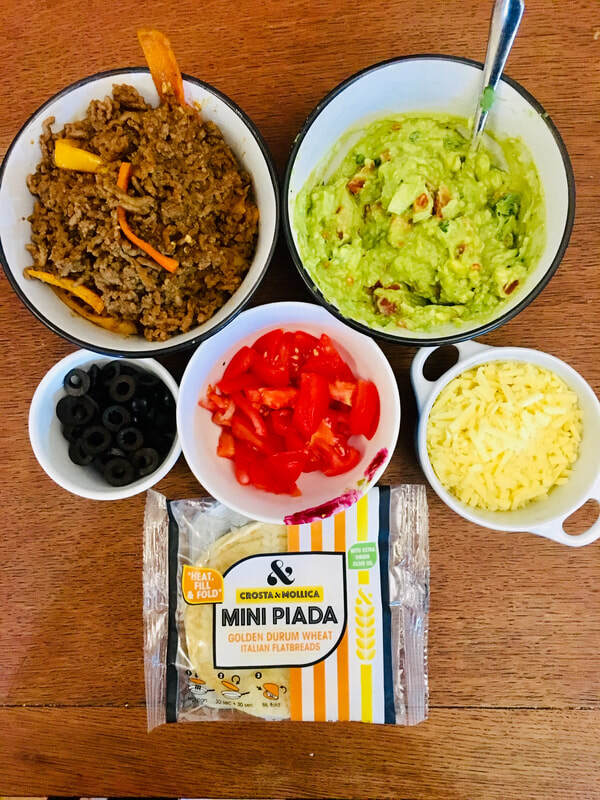 We personally loved the snaps option, but be warned, once you start, it's nearly impossible to stop as they are so tasty! We love the stylish packaging and the unique dark chocolate flavour combinations: maca, vanilla and cacao nibs; goji and orange; coconut and lucuma; maple, toasted rice and pink salt (our personal favourite). They also have two varieties of milk chocolate: Date & Himalayan Pink Salt Organic and Crunchy Almond Butter Single-Origin. With so many scrumptious flavours and ethical creds to boot, we're hooked. Everyone has a foodie on their list that loves to indulge in the best food and drink products to be had. With this in mind, we've compiled our Christmas gift guide for foodies. Enjoy! Who doesn't love cheese? Apart from the lactose intolerant, of course! We for one LOVE cheese and we're big fans of London cheesemonger Paxton & Whitfield, which in our opinion, has the best range of gourmet cheeses. 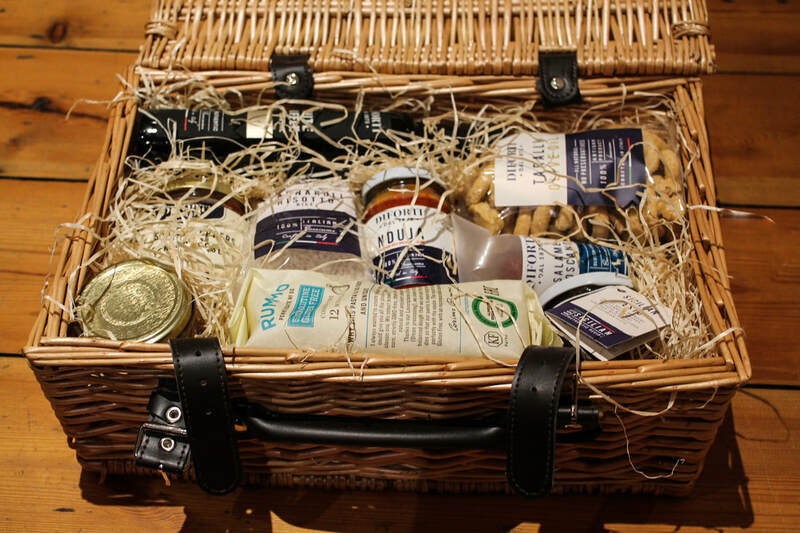 Their Glorious Gluten Free Hamper, is perfect for the gluten-free foodie on your list. This fab hamper includes: A fig ball, Cote de Duras red, Cote de Duras white, multi-seed and pepper cracker bakes, apricot, date and sunflower cracker bakes, cheddar pounder, caramalised onion chutney, stilton waxed min and Celtic soft. If this won't impress your foodie friends, we don't know what will. Everyone loves curling up with a good book and a cup of tea when the temperatures start to plummet and we're no exception. We love the range of innovative, award-winning teas from Joe's Tea Co. Bursting with flavour, they're perfect for warming the cockles on a dreary day and the beautiful packaging makes them a great option for a stocking stuffer or a Christmas hamper gift. The range includes a variety of playfully named black teas, white teas, green tea, caffeine free tea, classic teas and organic and herbal fruit infusions. Our two favourite caffeine-free teas within the range included: Feisty Turmeric Guru (a fiery ginger flavoured turmeric) and a very trendy tea at the minute for those of you who like to post your tea pics on Instagram, and the Rest-Repeat Rooibos (a rich, smooth full-bodied organic rooibos). Available from Joe's Tea Co. priced from £4.25. ​There's nothing more decadent than truffle oil, especially when it's drizzled over your favourite dishes. 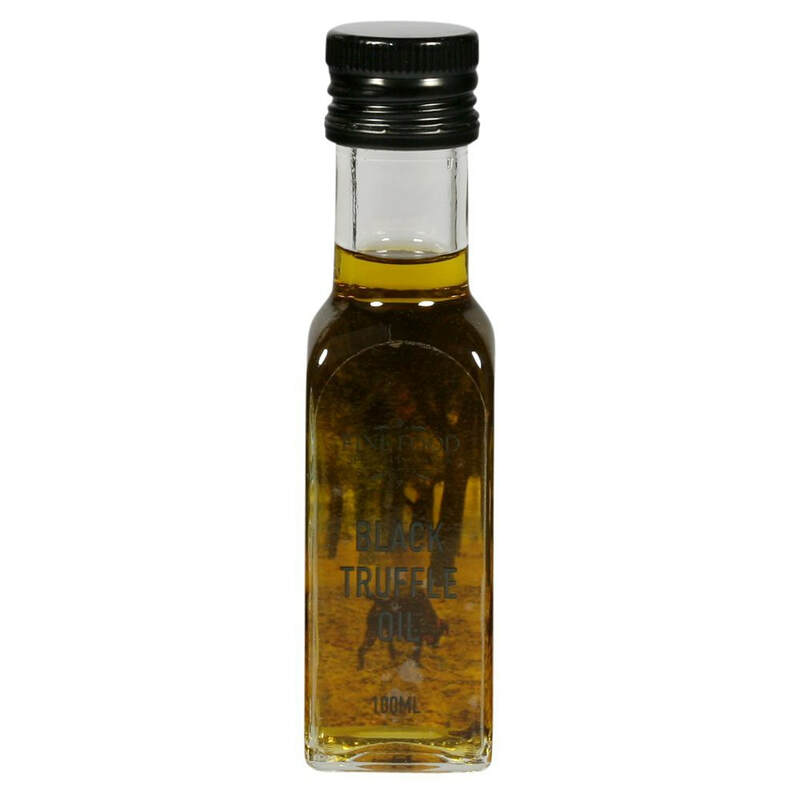 Given that black truffle oil has a more herby, garlic flavour than white truffle oil, it can e used on a variety of dishes. 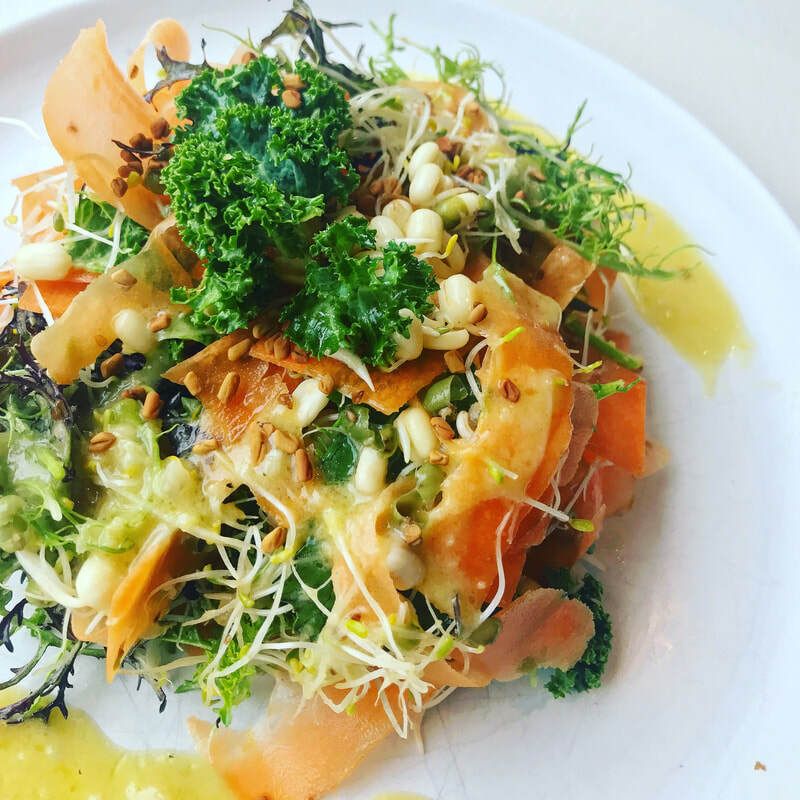 We love ours drizzled over a heaping bowl of fresh pasta, as a finishing oil on top of pizzas or even drizzled lightly over scrambled eggs. With it's cute imagery of a truffle hunting dog, it makes a lovely gift and will look great proudly displayed on the kitchen counter. Available from Fine Food Specialist for £8.50 (100ml). ​Gin is the perfect Christmas cocktail staple. Whether you're planning on serving a traditional G&T or a more festive concoction such as a Bramble, you can't go wrong with giving a bottle of gin. We recently disovered Rock Rose Gin, a fabulous award-winning premium Scottish gin made with hand-foraged botanicals. For those of you who want to go extra Christmasey, Rock Rose Gin has launched a limited edition Winter Edition Rock Rose Gin, with earthy spruce tips as the dominant botanical. Hello Christmas tree gin! Rock Rose Gin (£34.00 for 700ml) and Rock Rose Gin - Winter Edition (£37.50 for 700ml) are available from dunnetbaydistillers.co.uk. Is there anything more relaxing than sitting by the fire with a mug of hot chocolate in hand? We love this of luxury hot chocolates trio by Cartwright & Butler, which boasts three indulgent flavours including salted caramel, chocolate orange, and milk chocolate. This gift set and other marvellous foodie gifts are available from the RNLI (the charity that saves lives at sea) at shop.RNLI.org. They currently have a 10% discount on hampers, so now's the time to splurge! For the foodie who deserves an extra special treat, you can't go wrong with a visit to the new Laura Ashley Tea Room at Highbullen, Hotel Golf and Country Club. Located in North Devon, Highbullen Hotel enjoys panoramic views across North Devon’s Exmoor and Mole Valley, an oasis of tranquillity with manicured lawns and meadows that stretch out to the edges of this 128-acre estate. In the heart of this beautiful countryside, Laura Ashley the Tea Room brings together the timelessness of afternoon tea and elegant country living. 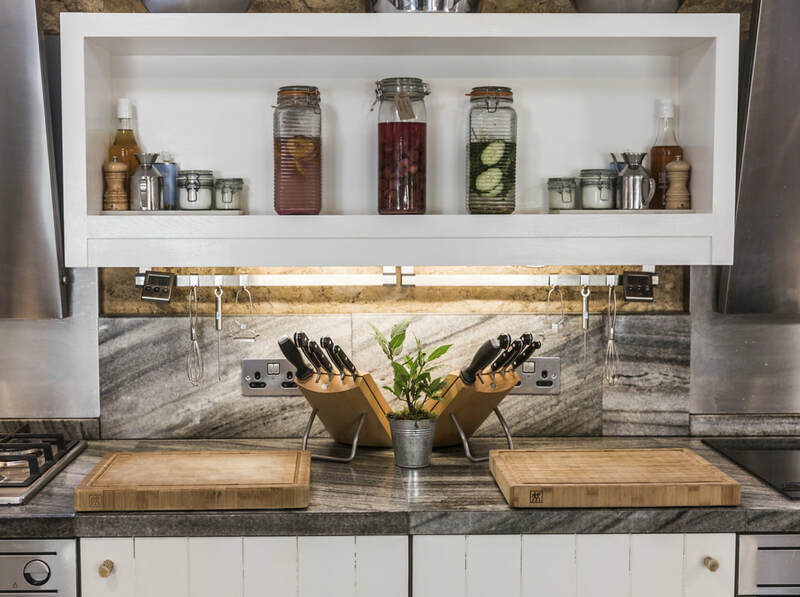 The menu offers a traditional Devon cream tea as well as full afternoon teas and Laura Ashley’s own special tea blend – all featuring an array of locally sourced produce, home-made sandwiches and jams, buttermilk scones, cakes and other sweet treats. There is also a savoury afternoon tea for those without a sweet tooth, and finger sandwiches, chocolate treats and candyfloss for children. 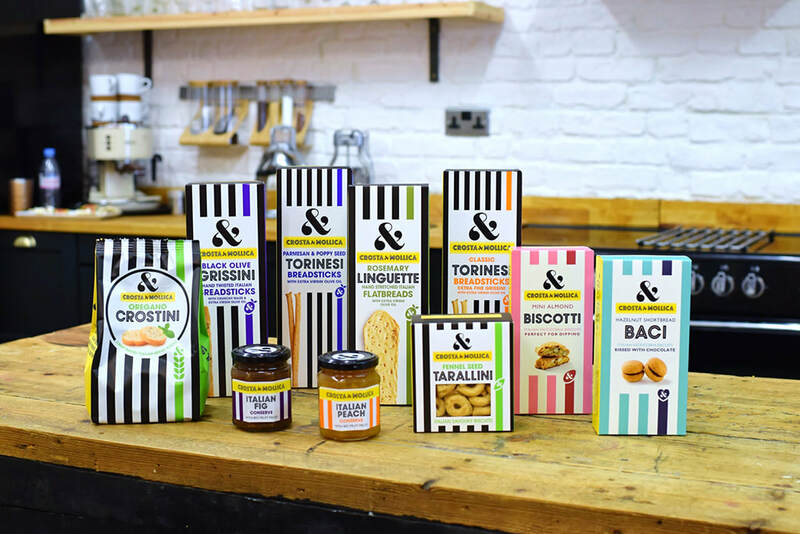 We love all things Italian, so when we discovered this gorgeous savoury hamper from online Italian deli Diforti, we fell in love! With so many tasty delights , it's certain to be a hit with any foodie on your Christmas list. Better yet, buy it for yourself and you'll be prepared for any unexpected guests that drop by for drinks and nibbles during the Christmas party season! The small savoury hamper is available from Diforti for £50.00. 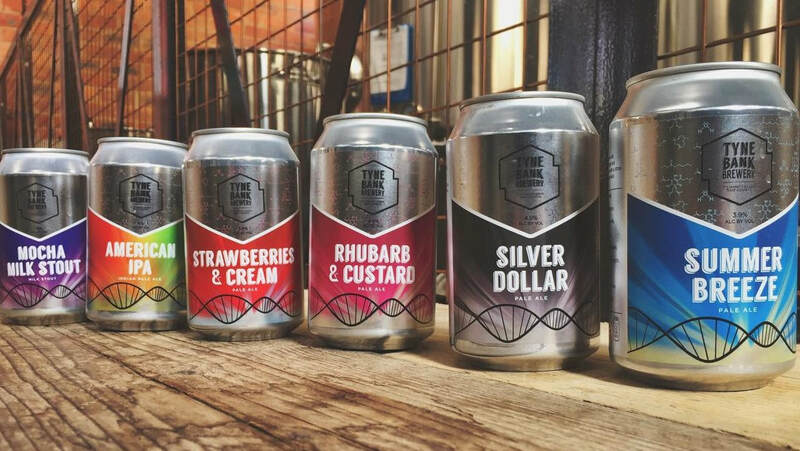 We recently came across Tyne Bank Brewery, a Newcastle-based brewery that produces a range of unique beers including everything from a selection of pale ales to a lager and a milk stout. The brewery brews an impressive 20,000 pints a week, which brewers work 12 hours a day to produce. Visitors have the opportunity to go on a tour of the brewery and enjoy tasting sessions every weekend. If your flavour preference leans towards seriously fruity ciders, then the flavours within this range may be too subtle for your liking, but if you're looking for an interesting new beer that deviates from the usual offerings you can find anywhere, then it's worth giving it a whirl. With the Bank Holiday in full swing, now's the perfect opportunity to try something new. A selection of beers within the range can be found at Booths supermarkets across the Northwest of England. We're a big fan of condiments as they have the power to liven up a variety of dishes quickly and easily. So, we were excited to hear about the launch of The Sweet Beet, a range of innovative condiments that are certain to jazz up your recipes! 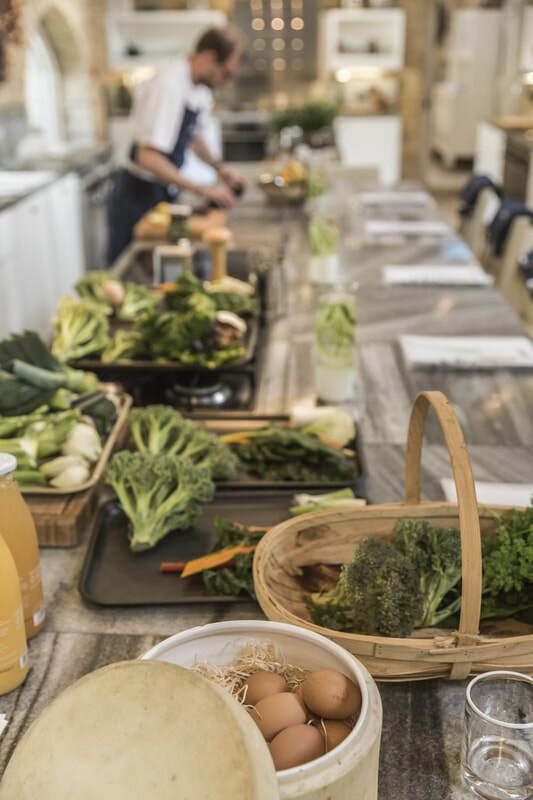 Founded by Lizzy Hodcroft, a Texas-raised chef turned restaurant manager and now food entrepreneur, the range takes its inspiration from the bold flavours of Texan cuisine. 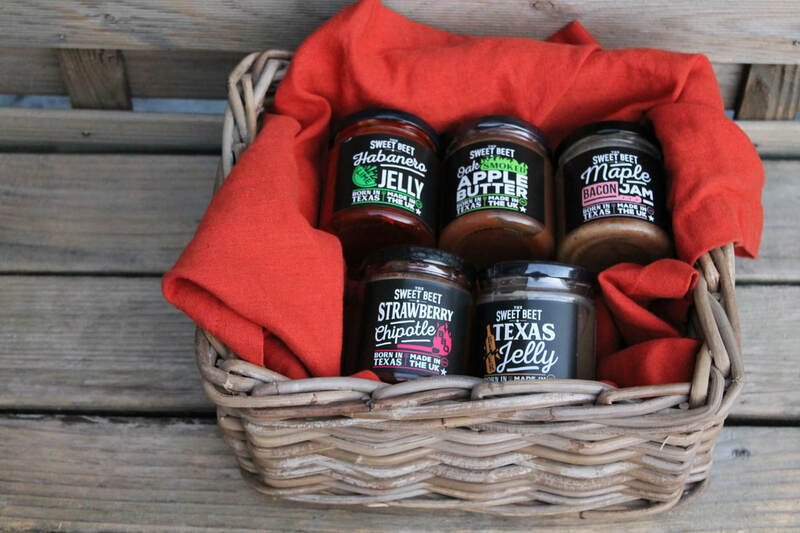 The range includes five scrumptious variants including Texas Beer Jelly, Oak Smoaked Apple Butter, Maple Bacon Jam, Strawberry Chipotle BBQ and our personal favourite, Habanero Lime Jelly (a bit like sweet chilli sauce but thicker) and it tastes amazing on baked salmon, fresh tuna tacos or burgers. The clever cats at The Sweet Beet have even developed a Texas Beer Jelly Margarita, which we can't wait to try during the upcoming Bank Holiday weekend! The Sweet Beet is available www.thesweetbeet.co.uk (RRP £4.50-£4.95). Japan’s national drink is more versatile than people might think. An increasingly popular alternative to wine, sake is turning business around for Japan’s 1,800 sake breweries. ​John Gauntner, the world’s leading non-Japanese sake expert, shares his top tips on how to choose a sake and his recommendations for the best food pairings with sake. Selecting sake is like selecting wine; every sake is different. Sake is made from rice, so the more finely milled it is, the more refined it will be. Sake is fairly priced in that the more you pay, the better the sake – at least technically. When serving sake, most premium sake is better slightly chilled, like a white wine. But there are exceptions to this, and the world of warmed premium sake is one of endless fun and satisfaction. With so many options to hand, the best way to educate your palette is to try a variety of sake brands and grades to see what you like best. Many types of sake have a creamy, rice-tinged flavour, making them perfect for showcasing the taste and texture of fleshy oysters. The acidity of the sake cleanses and refreshes the palate, readying it for the next mouthful, and a subtlety sweet sake will also embrace the salinity found in many oysters. Fried calamari is perfect with a chilled sparkling sake. Varieties with enough acidity will balance the oil of the fried squid and combine with the light umani of the fish to create complex flavours. A rich, sweet sake will lure out the savoury flavours of the strong saltiness of the ham, while an aged sake that offers a full, nutty aroma deepens the flavour of cheeses such as mature cheddar, Parmesan and blue cheese. Sake also matches surprisingly well with vegetables that have a slight bitterness - such as asparagus, Brussels sprouts or arugula. The only foods to avoid with sake are spicy food, strong sauces or overly rich and fatty dishes, which tend to overpower the subtle favours in sake. So, the next time you find yourself ordering oysters in a restaurant, impress your friends by asking for a glass of sake! We love quality chocolate (who doesn’t? 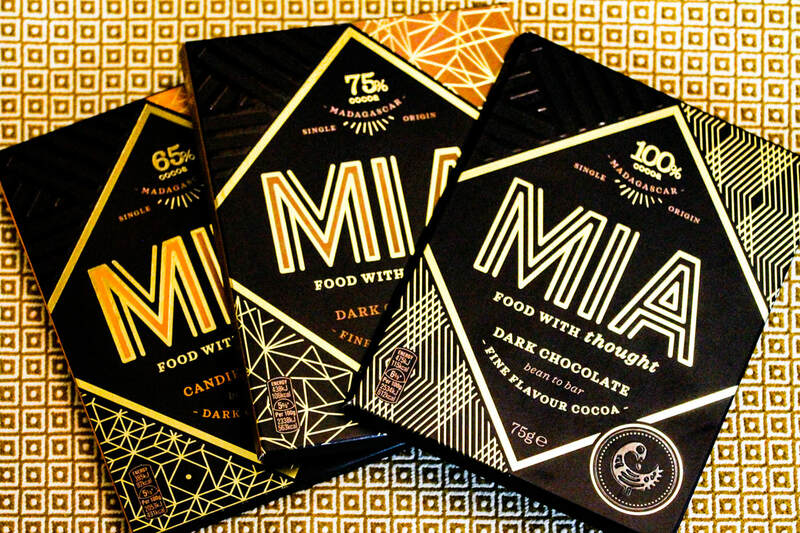 ), so we were excited to hear about the launch of MIA, a range of luxurious Madagascan single-origin chocolate bars ‘Made In Africa’. 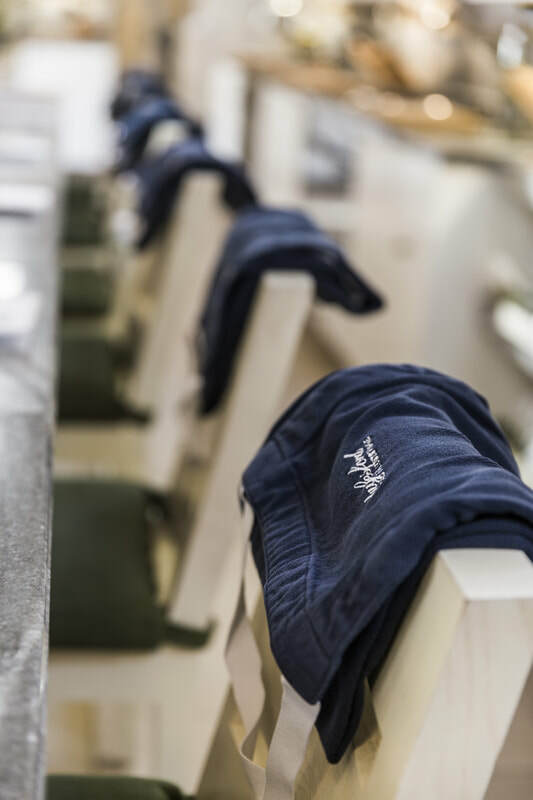 Set up by a group of foodies with a shared passion for the continent, its people, wildlife and natural ingredients, each MIA product is crafted from start to finish in Madagascar with 1% of MIA sales donated to development projects in Africa. We tried the intense 100% cocoa, the slightly milder 75% cocoa and the candied orange chocolate bar, which contained candied orange pieces. All were mouth-wateringly delicious and we loved the gorgeous gold-embossed packaging they came in, which made each bar feel like a special treat as you unwrapped its goodness. With their intense flavours and stunning aesthetics, they're the perfect gift for any chocolate aficionado. MIA chocolates are available from BoroughBox (www.boroughbox.com) and Cocoa Runners (www.cocoarunners.com) for £4.00 (for a 75g pack). Since all I care to do when I arrive in a city is eat my way round it, Eating London Tours - which can also be found in Rome, Florence, Amsterdam and Prague - is my kind of tour. 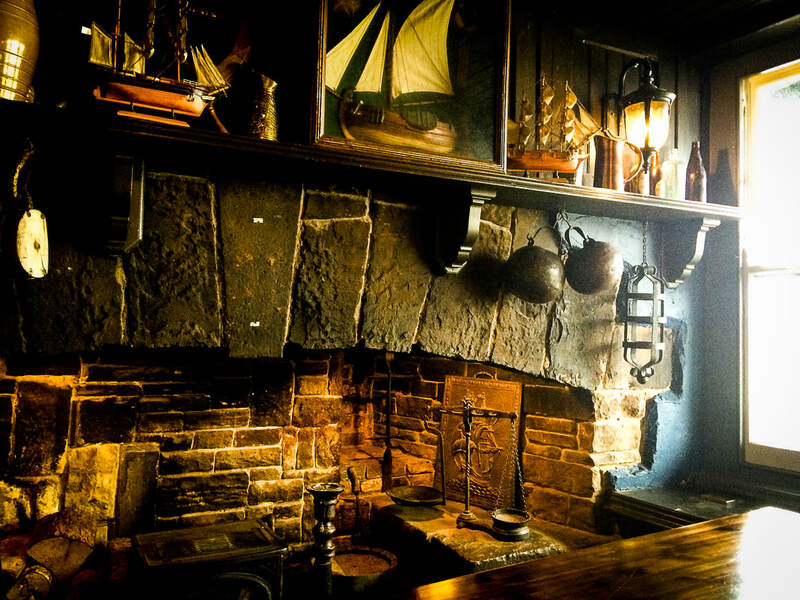 During the 4-hour tour of the London Old Docks, knowledgeable and spirited tour guides lead intimate groups off the beaten track of London’s tourist trail to eat and drink as the locals do and have done for hundreds of years. It’s an immersive experience full of conversation, stories, laughter and discovery, making it the most agreeable way to to learn more about London’s rich culture and fascinating history. Rotherhithe, which was once a bustling trading hub of London. was the perfect place to start our tour of London’s docks, the now eerily quiet streets a far cry from its dramatic and chequered past. We headed to the iconic Mayflower pub, where we raised a pint of aptly named ‘Scurvy’ ale and dug into bangers, mash, black pudding and gravy alongside passionate locals. As we dined, we learnt of the history of Brunel’s Rotherhithe Tunnel and how when it opened in 1843 millions flocked to what was referred to as the ‘Eighth Wonder of the World’. It certainly made our short tube journey through it to get to our next watering hole more interesting! 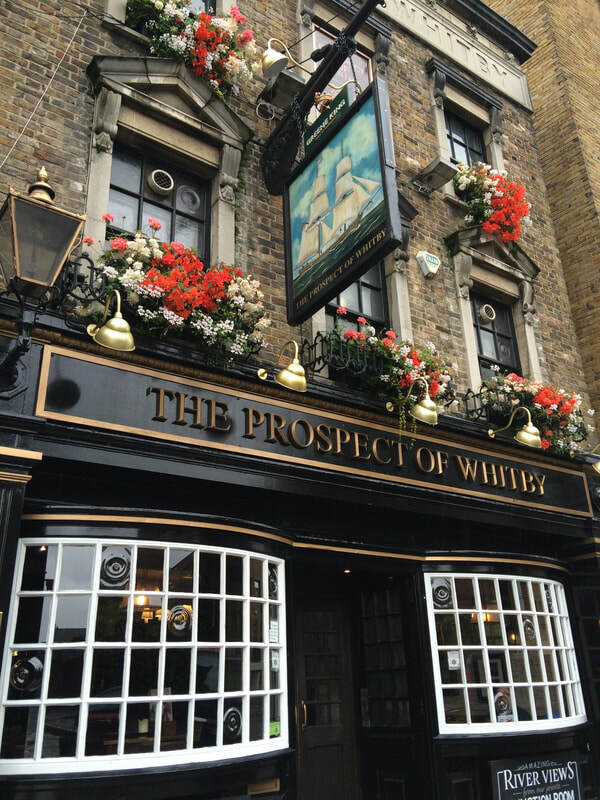 The Prospect of Whitby in Wapping had a sinister past - its deck still bears an ominously suspended noose from the days of public hangings, and there are rumours that it's haunted - food for thought over good old fashioned fish, chips and mushy peas all washed down with Truman’s craft beer. After a leisurely stroll along the canals, we found ourselves in the charming Turners Old Star, one of the longest standing traditional East End taverns, which was converted by painter Joseph Turner in the 1830s for his then mistress. What else would the landlady whip us up but a hearty steak and ale pie with a London Pride chaser?! This riverside pub offered us great old-school pork scratchings, a Samuel Smith’s Porter rich with molasses, a gorgeous view and the perfect setting where we were told tales about the ‘mudlarks’ who scavenged the banks of the Thames. After our time at the Captain Kidd, we set off on a picturesque riverside walk to head to the Dickens Inn, our final destination on the tour. This flower-adorned 18th century warehouse in the regenerated St Katherine’s Dock Marina was the perfect pit stop for a cheeseboard and a refreshing cider - a great end to the day after exploring one of London's most fascinating yet overlooked neighbourhoods. So, if you're looking for a marvellous day out that will fill your stomach and put a smile on your face, you can't go wrong with this unique tour.